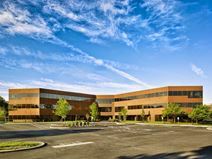 The Great Valley Corporate centre is situated on lush grounds within easy reach to Philadelphia. The centre is also close to hotel accommodation and restaurants. Offices are modern and recently refurbished with modern furnishings throughout. Conference facilities also available. Leased space now available close to Route 202 and Route 29, 101and to many public transport facilities. This centre comes with fully furnished office suites that are designed to a high standard. Also offered are great support staff and different lease options. The regional transport links present in the area are also excellent and highly convenient, making the center easily accessible for both occupying tenants and visitors to the site.